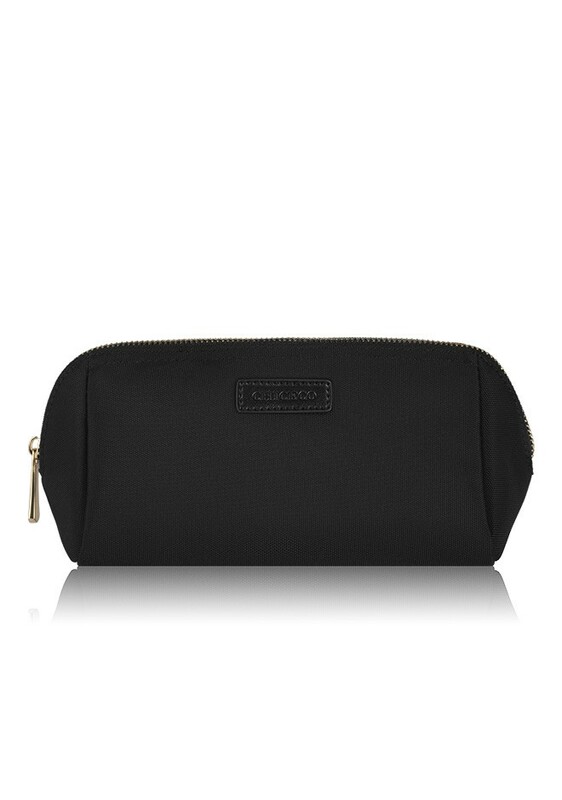 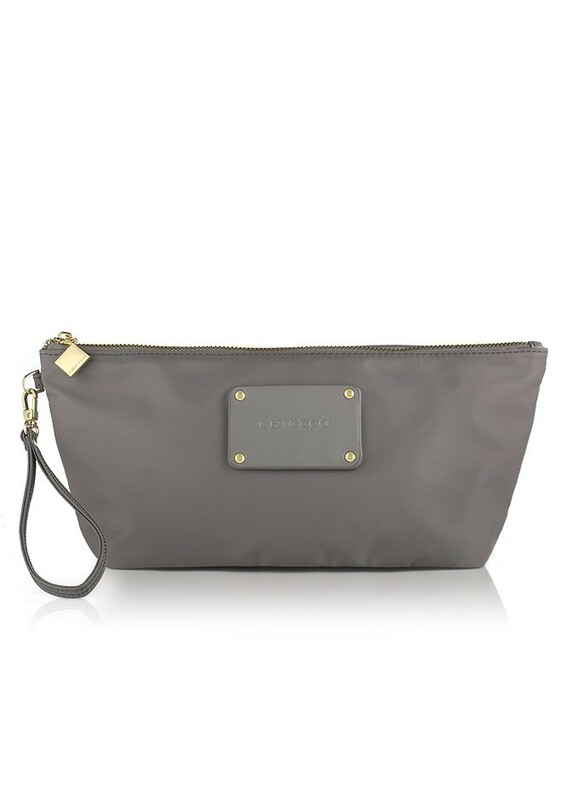 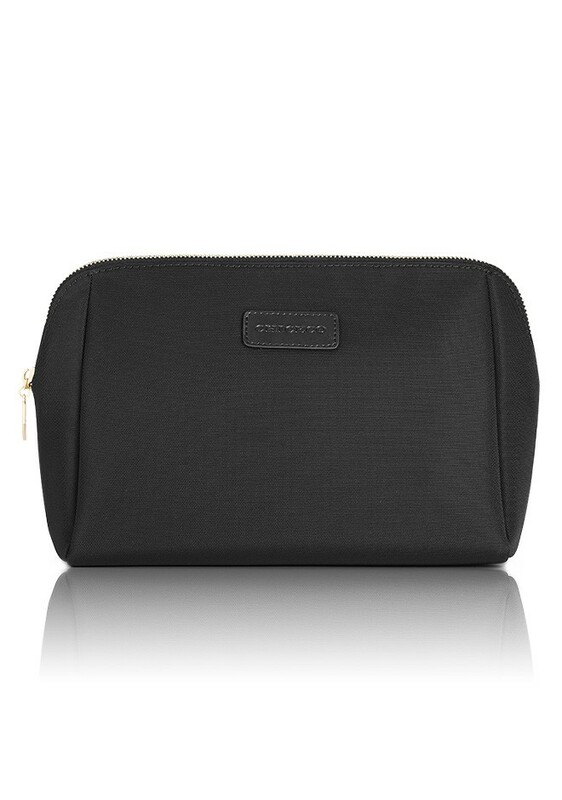 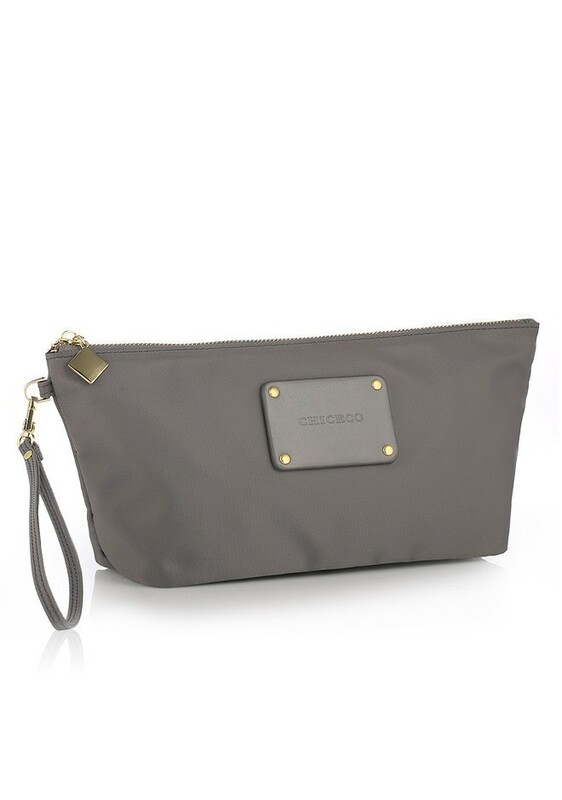 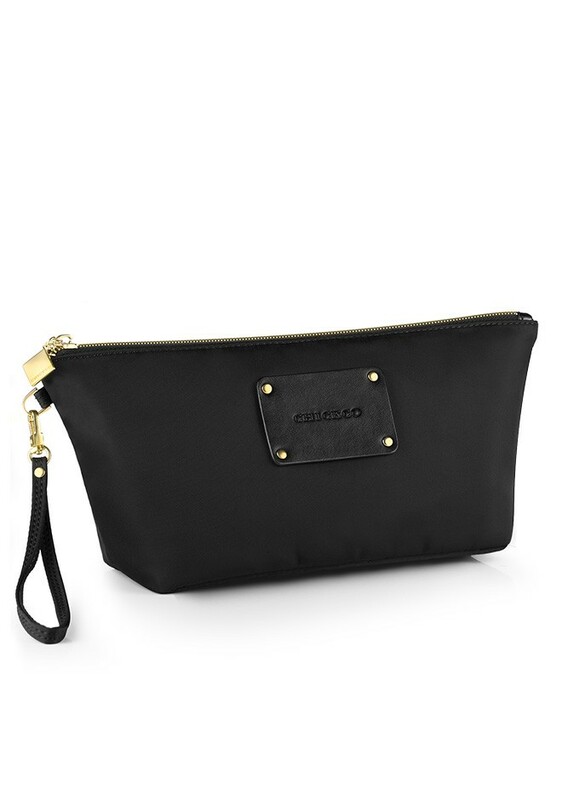 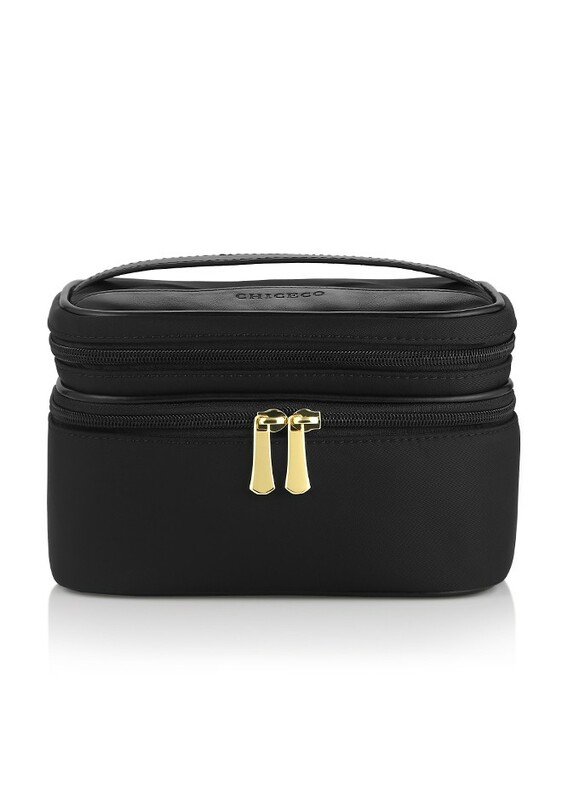 A handy wristlet with added staying power presents a smart look. 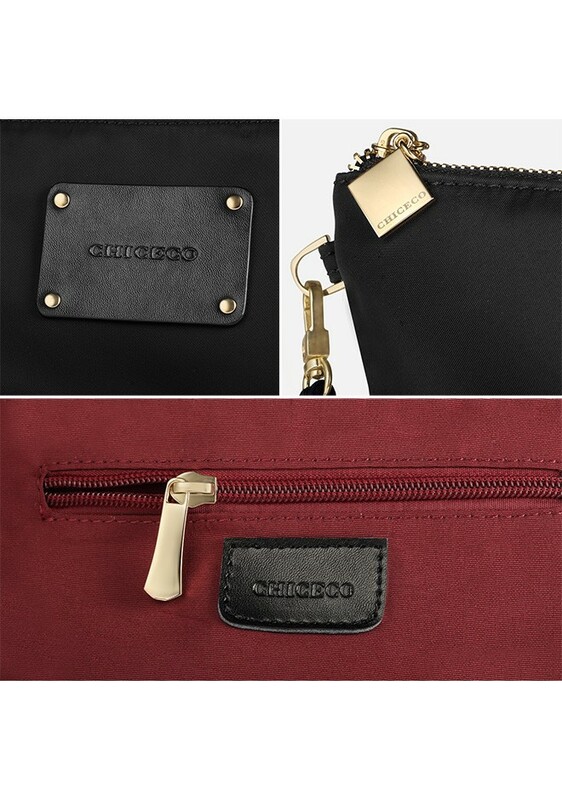 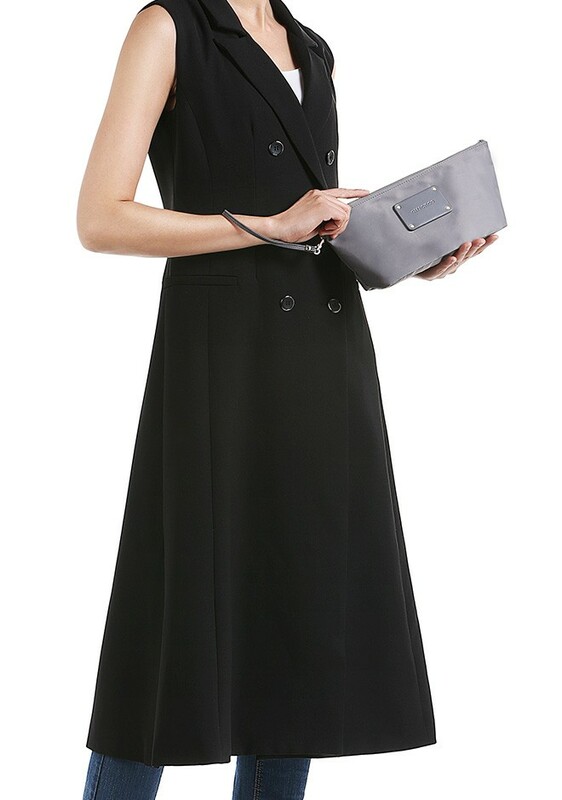 Surprising lining features a trendy color contrasting to the fabric. 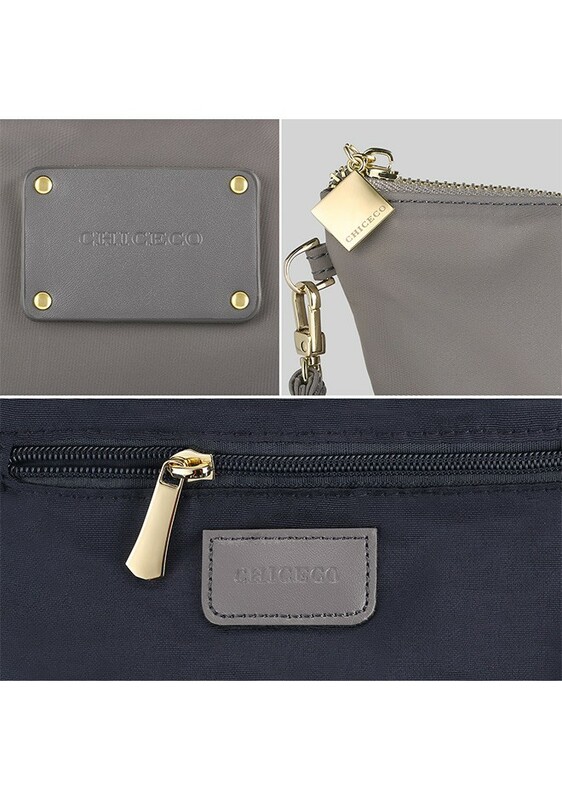 A piece of slip leather stamped with a signature of our name. Adorned gold-tone hardware complements with a right amount of lustre. 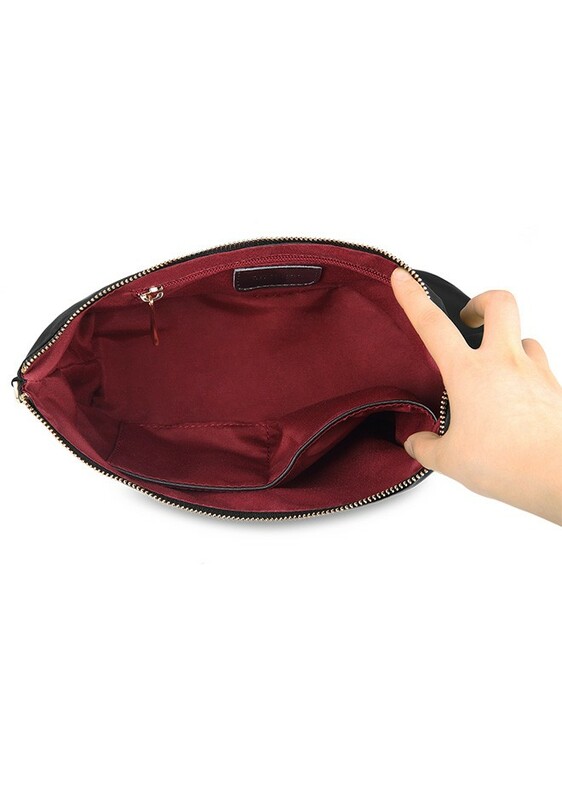 With enough room for daily essentials, it promises to fit all situations, with ease.